Serving the anodizing community since 1984. Over 40 standard colors to choose from. Our MOQ for any aluminum dye is only 1 pound. All dyes are RoHS compliant. Order dyes meeting Mil-A-8625, Type II, Class 2. Order dyes matching many Fed Standards 595 B. Reliable and dependable tech service support. Order dyes for outdoor applications. Order sealants that are compatible with all aluminum dyes. Complete line of pretreatment products. Quick delivery, most orders are shipped within 24 hours. Major credit cards and PayPal are accepted. Friendly staff to assist you with orders and questions. Provide reliable and high performing products. Provide dependable tech service support. Be available when you call us. © Copyright 2017 U.S. 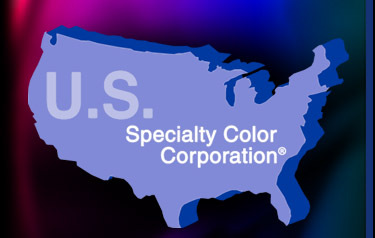 Specialty Color Corporation. All Rights Reserved.